Back in the days of Windows 3.1 was a great piece of software called Tornado Notes (Later renamed Info Select). It used the analogy of a stack of cards, and kept each stack in a plain text file that was immediately searchable. Its' price (Currently $280) became a serious impediment. Luckily, there is a freeware alternative available. InfoBase is available at http://freeware.persoft.ch/program_en.htm . The download is less than 4 MB. I use it for all of my notes. It can live on a USB drive as a portable program. It's certainly worth a try. I'm not an agent of Persoft, just a happy user. Why not Evernote? What can other software do which Evernote cannot do? @sfast I see your point. But let's say you are in the business of creating tons of content regularly. You also need to collect multi-media files and clips as part of that process. Is there merit then to using Evernote? If it is not feasible to figure out what may or may not be useful for a specific output -e.g. a blog post? Or am I just falling victim to collector's fallacy? Also in the situation where a team is responsible for collecting the raw material, they may apply different relevancy filters. Does Evernote make more sense then? Problem I am trying to solve is developing a workflow for creating lots of output frequently and fast. Any thoughts much appreciated! 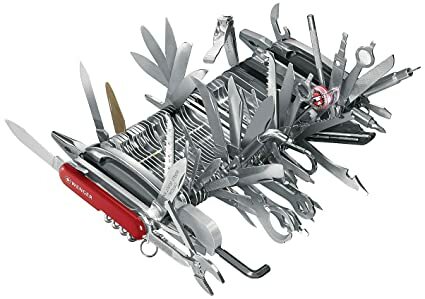 I am no expert by any means to implement tools for whole teams. My interest belongs to the individual that wants to manage personal information and knowledge for creative and non-creative means. There could be a case when you get faster results when all the people are using the same software. A sloppy result can be enough and a cookie cutter approach can be feasible in that case. Evernote is not the best tool for the ZKM. But if you can implement it otherwise then you can do it. But there is no general answer for a specific case: The individual that needs to solve problems.